Jacques-Philippe Gunther heads the firm’s European competition and antitrust practice. He is widely recognised as one of Europe’s leading competition law specialists by French and European antitrust authorities. Jacques-Philippe is known for his expertise advising clients on complex disputes before the EC and French competition authorities, as well as the European Court of Justice and French courts, on cartel and abuse of dominant position cases. Jacques-Philippe is also well known for his expertise on complex Phase I and Phase II European and national merger filings. He is one of the most recognised experts in the field of state aid. Mr Gunther has particular experience in the telecom, transport (shipping and airlines), energy, media, defense, sports and financial sectors. Consistently ranked for the past 10 years in the Band 1 category by Chambers, the 2014 edition describes Jacques-Philippe as ‘an excellent lawyer’. He is also recognised in several other professional guides, including Legal 500, which states that he is ‘a bright and creative adviser who has built a team with strong expertise’; and Global Competition Review, which notes that Jacques-Philippe’s team (ranked as ‘Elite’) ‘continues to draw praise for being one of France’s leading competition practices’. 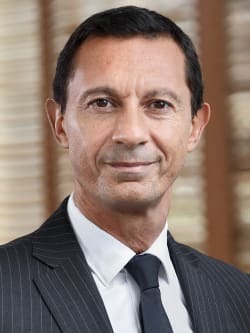 Jacques-Philippe joined Willkie Farr & Gallagher LLP as partner in 2006 having been a partner of Gide Loyrette Nouel (Paris and Brussels) and Freshfields Bruckhaus Deringer. He has two postgraduate degrees from the Institut de Droit des Affaires of the University of Aix-Marseille (in business law and international trade law).